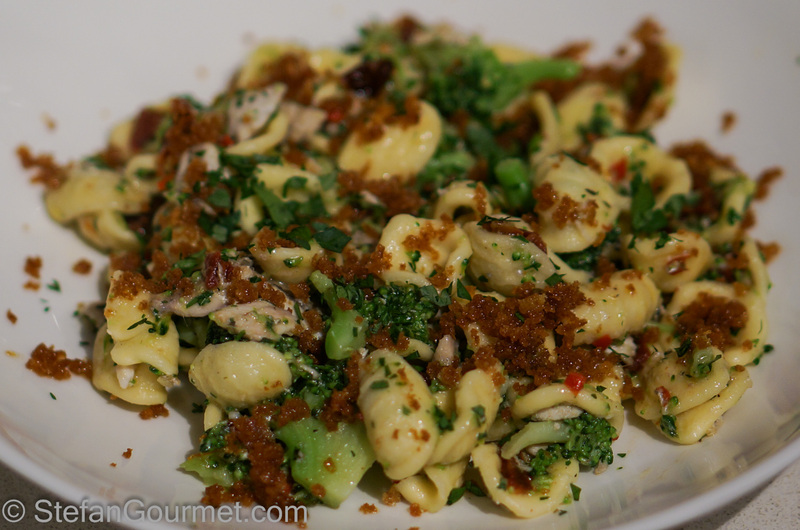 This Southern Italian pasta dish has loads of flavor and texture: orecchiete pasta, broccoli, fresh anchovies, sundried tomatoes, crunchy sautéed breadcrumbs, chile pepper, and parsley. 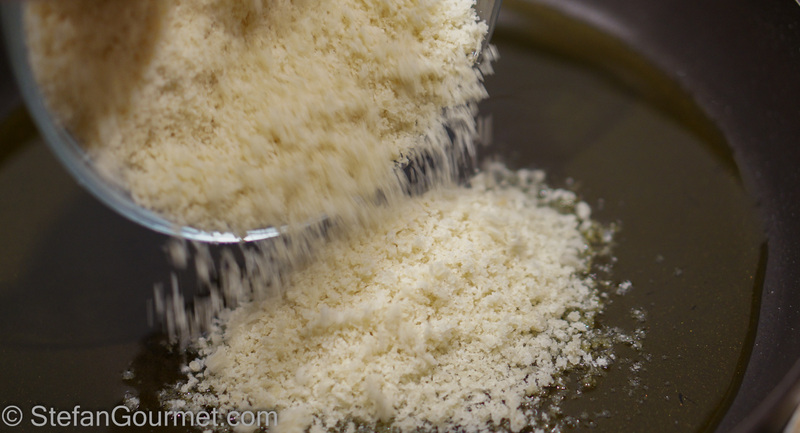 Those sautéed breadcrumbs are a good alternative for cheese (which is ‘forbidden’ on a pasta dish with seafood) as it provides an interesting texture and is a good way to use up stale bread. 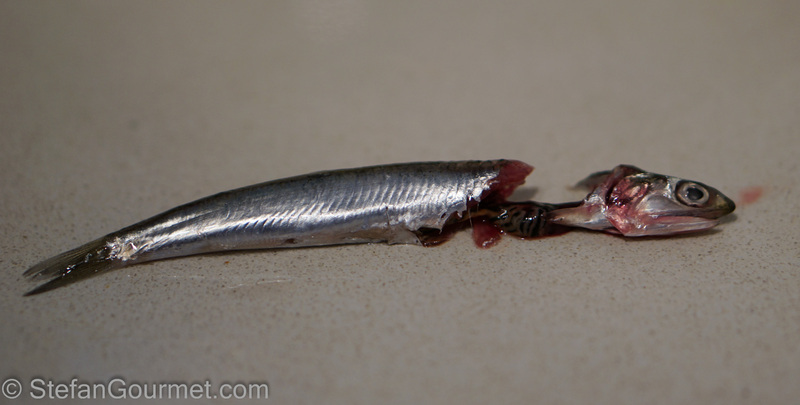 If you can’t get fresh anchovies, you could substitute with mackerel. Most of the work of this dish is in cleaning the anchovies (which the fish monger will probably refuse to do for you), but it is worth it. 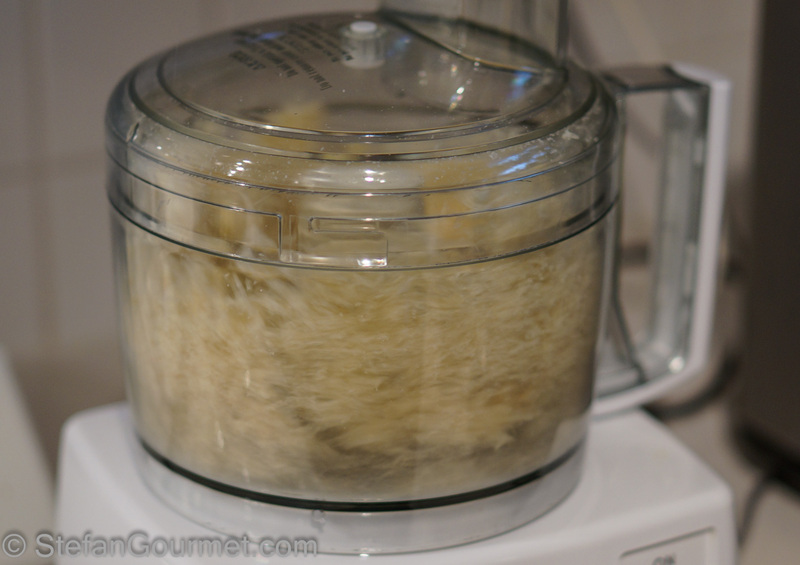 Start by cleaning the anchovies. In a previous post I showed how to do this with a small knife, but you can also do it with your fingers. First, snap off the head and discard it together with the innards attached to it. With your finger, open up the belly and remove the remaining innards. Remove the spine including the tail. 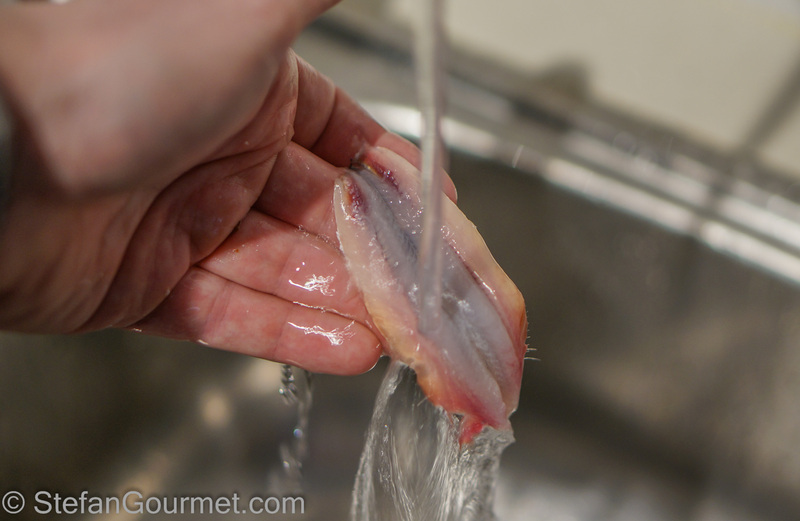 Rinse off the anchovy fillet under cold running water. 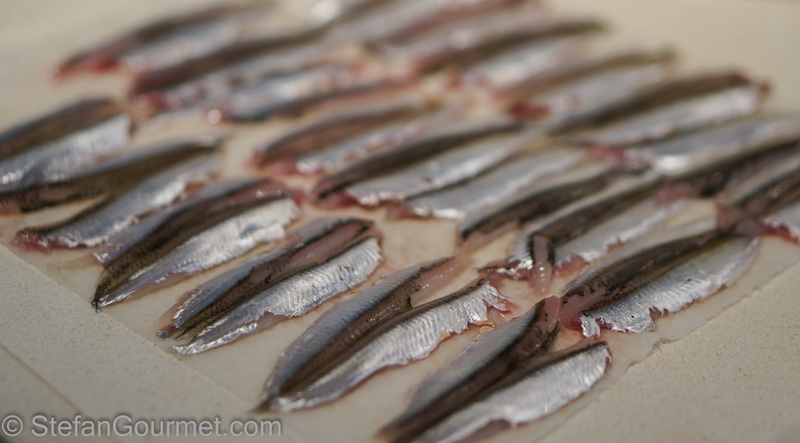 Arrange the anchovy fillets on paper towels to dry and repeat until you have cleaned all of them. 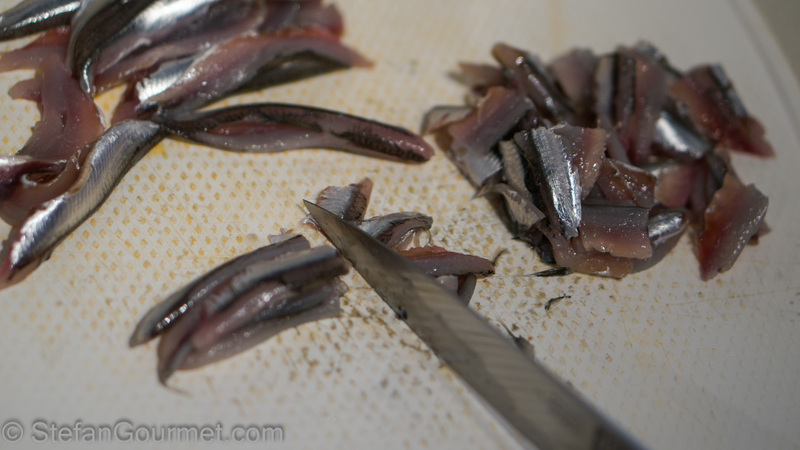 Cut the anchovy fillets into three pieces each. 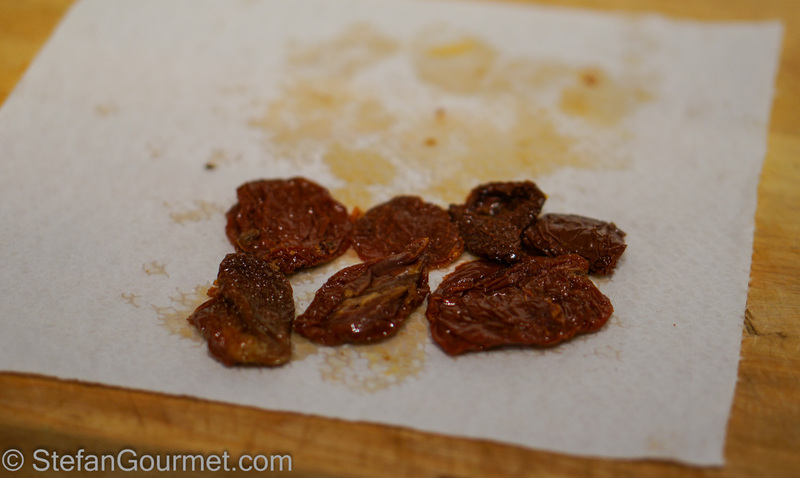 Pat the sundried tomatoes to remove the excess oil (assuming you are using sundried tomatoes from a jar with oil; if you use the dry ones instead then you have to soak them in warm water to soften them up and then pat them dry). Mince the sundried tomatoes. Bring a pot of water to a boil. 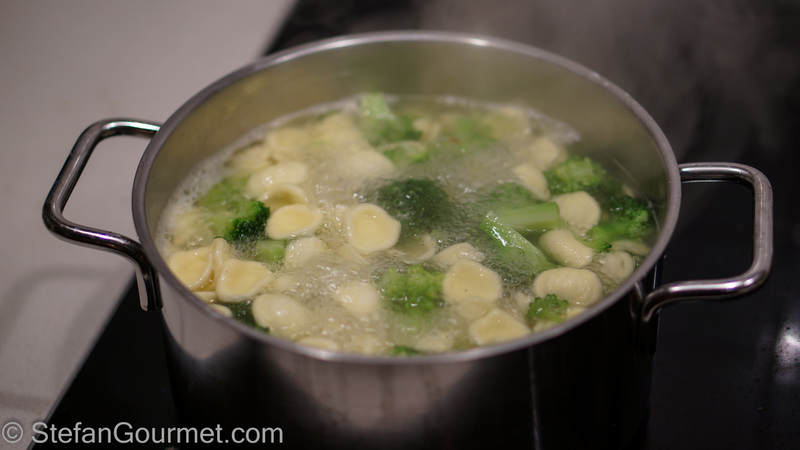 Add salt and orecchiette, and cook al dente according to package instructions. 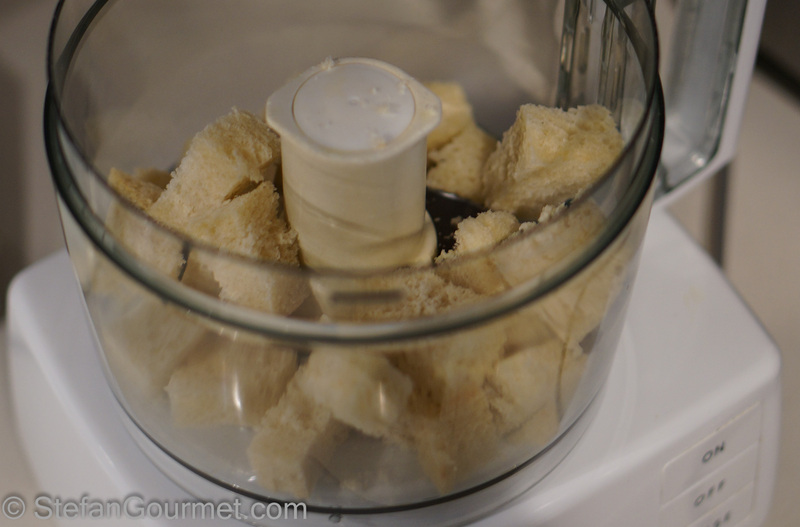 Meanwhile, cut the bread into cubes and put the cubes in the food processor. 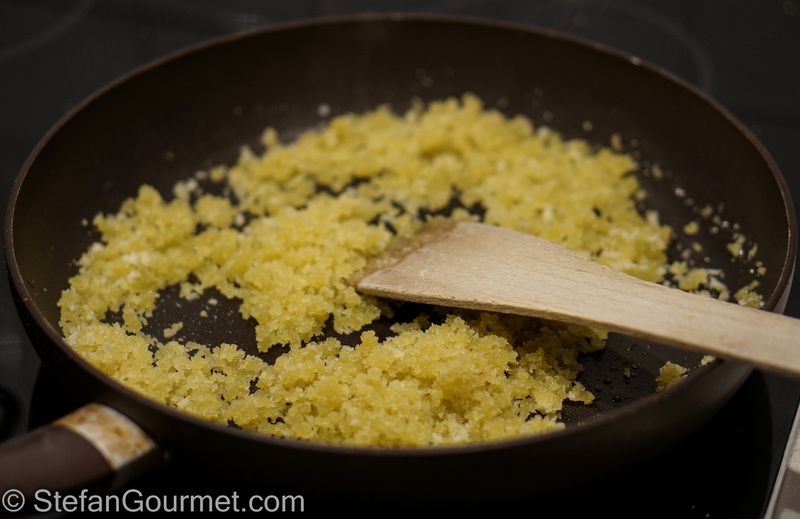 Heat olive oil in a non-stick frying pan and add the breadcrumbs. Sauté over medium heat, stirring. 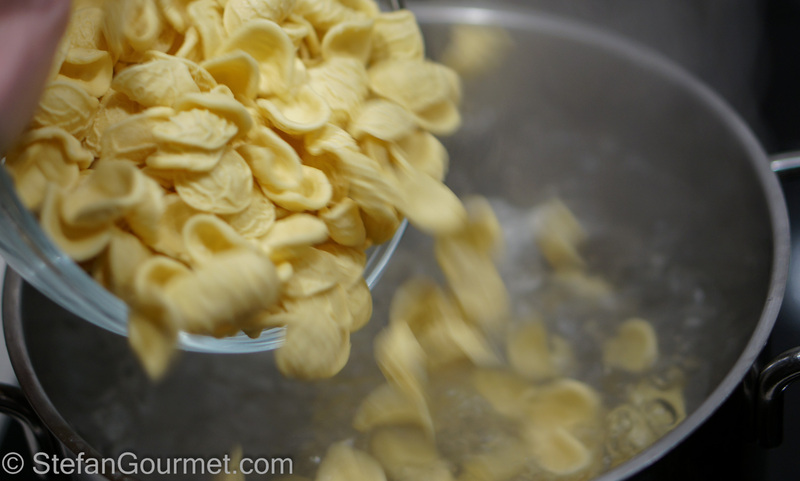 Keep stirring until they are browned and crunchy. 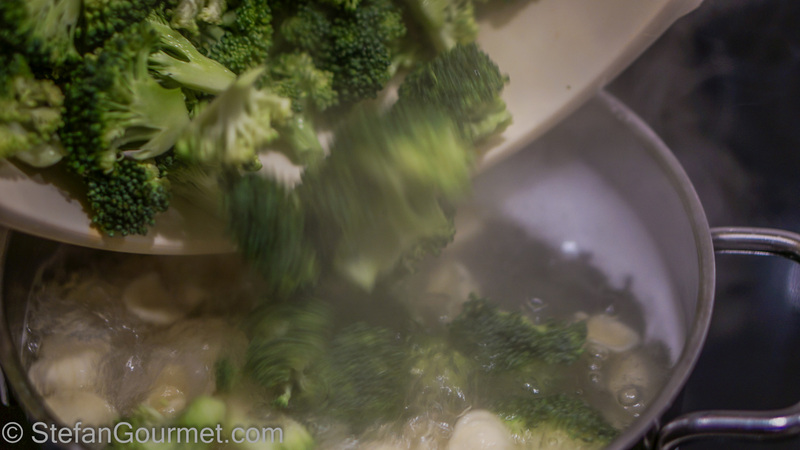 Add the broccoli to the pasta about 6 minutes before the end of the cooking time. Heat some olive oil in a frying pan. 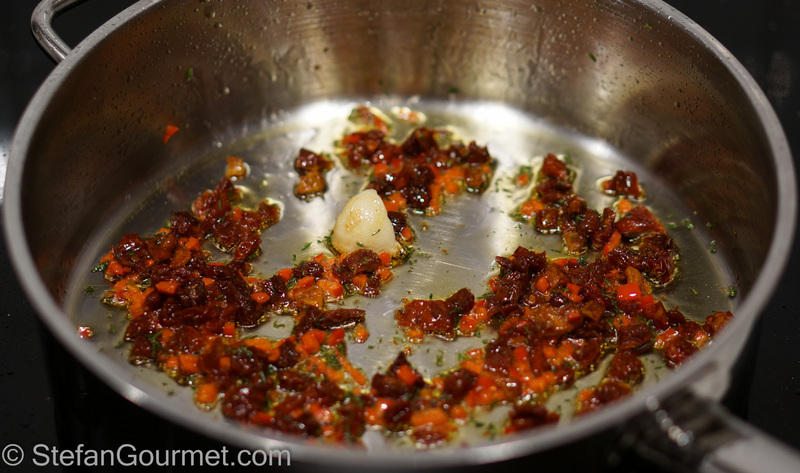 Add the sundried tomatoes, chili pepper, thyme leaves, and garlic, and sauté for a couple of minutes. 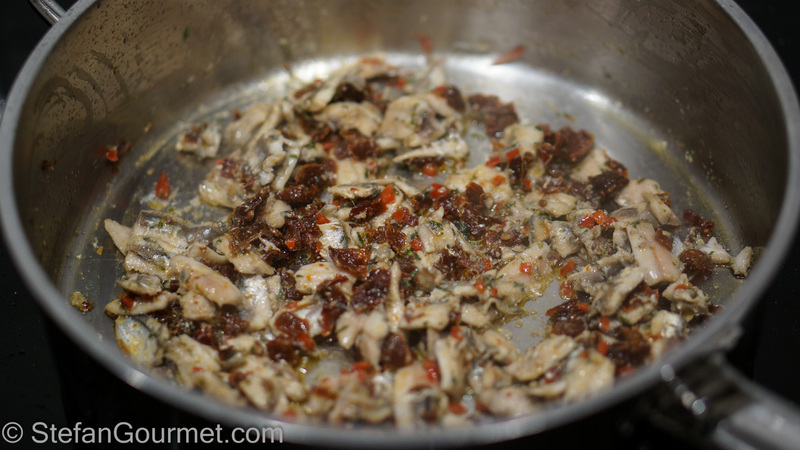 Sauté just until the anchovies are cooked. Discard the garlic. 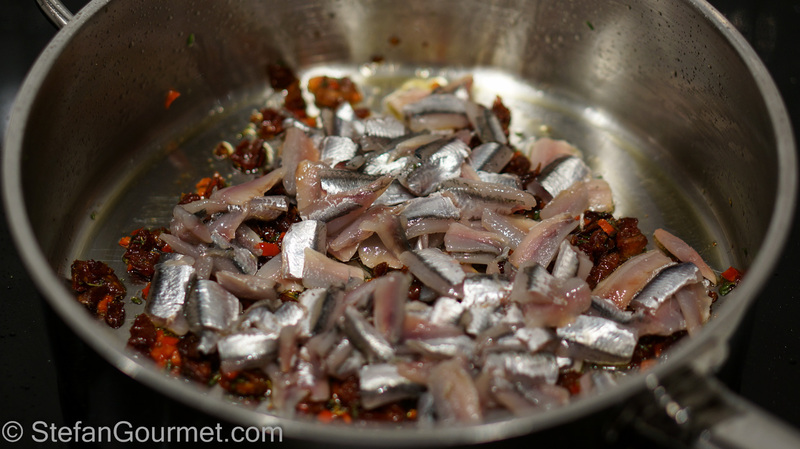 …and add them to the pan with the anchovies. Add the parsley. 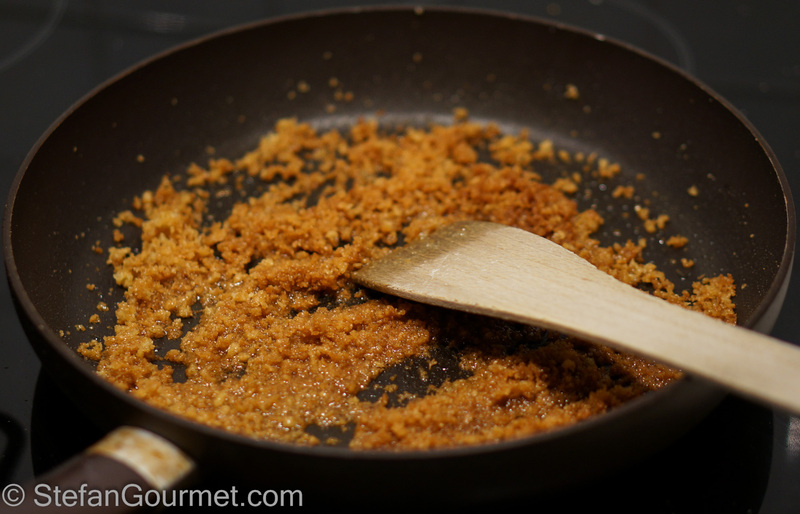 Serve on preheated plates, sprinkled with the sautéed breadcrumbs. 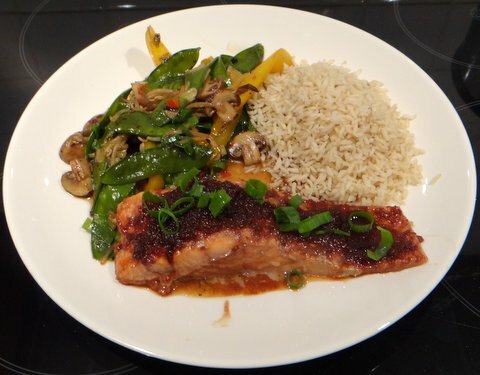 This ginger-glazed salmon is cooked in a low oven to a core temperature of 43ºC/110ºF, giving it a wonderful buttery texture. This is almost the same as cooking it sous-vide. Che bravo che sei! Io non le ho mai fatte con le alici fresche. Però faccio le orecchiette. 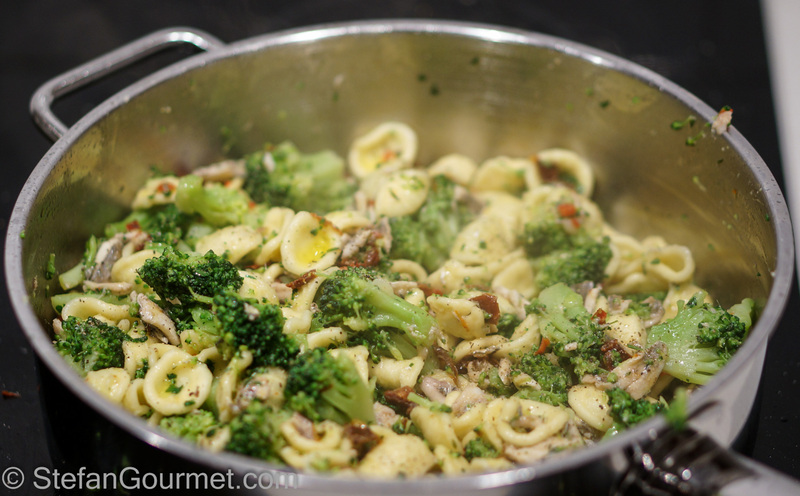 nice – I make my orecchiette with cime di rapa (broccoli sprouts) and aglio, olio, peperoncino, including anchovies, but not fresh ones. Oh I love this dish, but like in the previous comment, I have never made it with fresh anchovies! 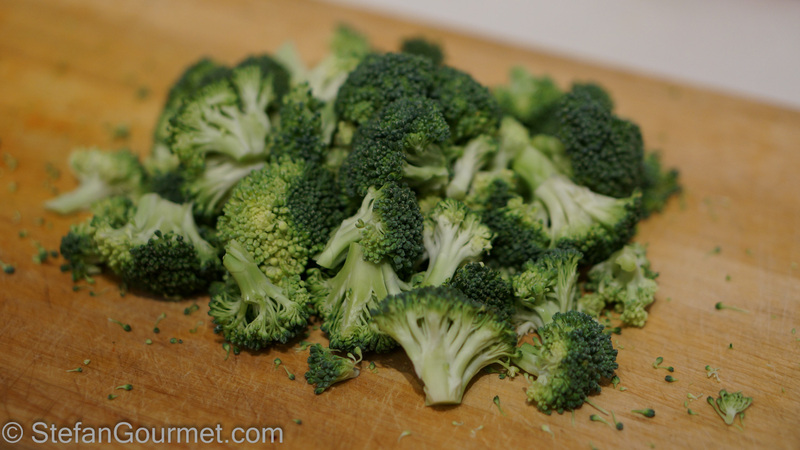 Love the fried breadcrumbs, and the combination of broccoli and anchovies, this is so flavorful and delicious! 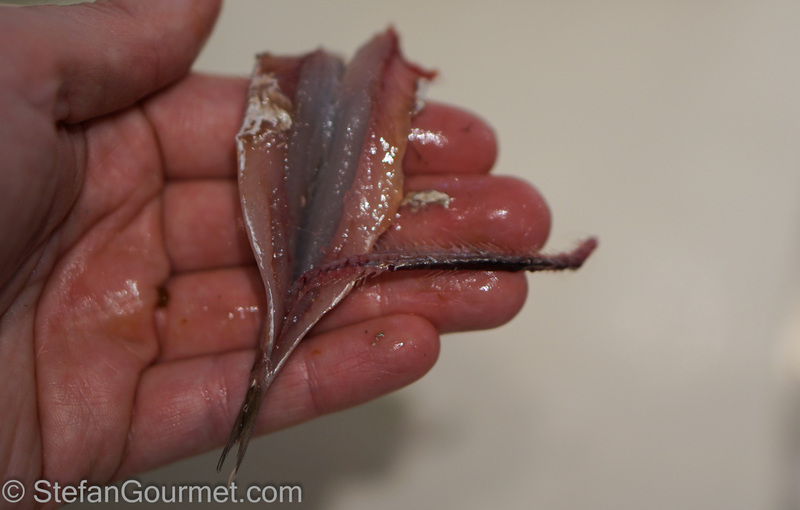 I love the detailed anchovy preparation shots. One feels for the little darlings. Yes, yes, yes!! 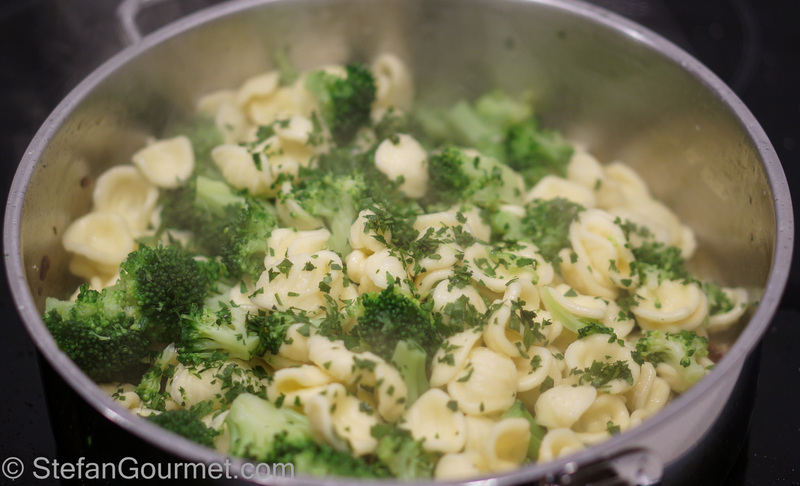 Don’t use broccoli with pasta nearly often enough!! Well, avec panko and not quite ‘new’ anchovies’ but am certain I’ll love!!! I wonder how it would go with oil-packed anchovies? You could let those ‘melt’ in the olive oil. It would give the dish a different, less ‘fresh’, flavor profile, but it would still be nice. Very good. This a typical sicilian pasta. I have just eaten it. 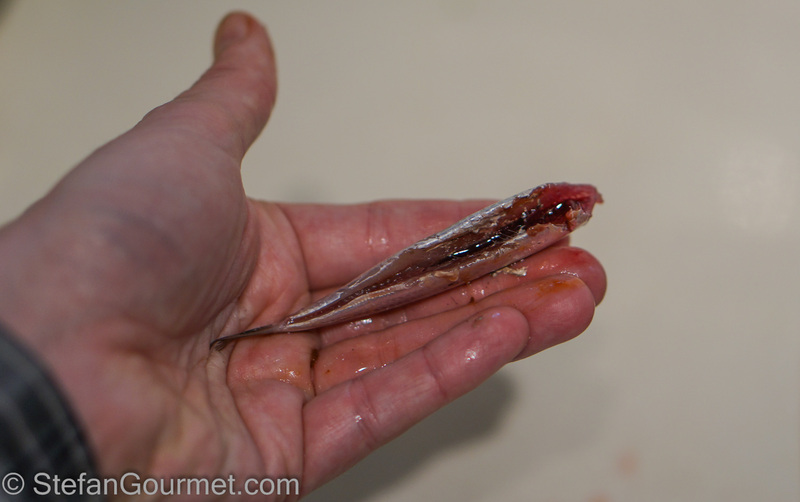 I need to try this one sometime, have never seen it with fresh anchovies! I always prepare it like Monika as an after-work dish. 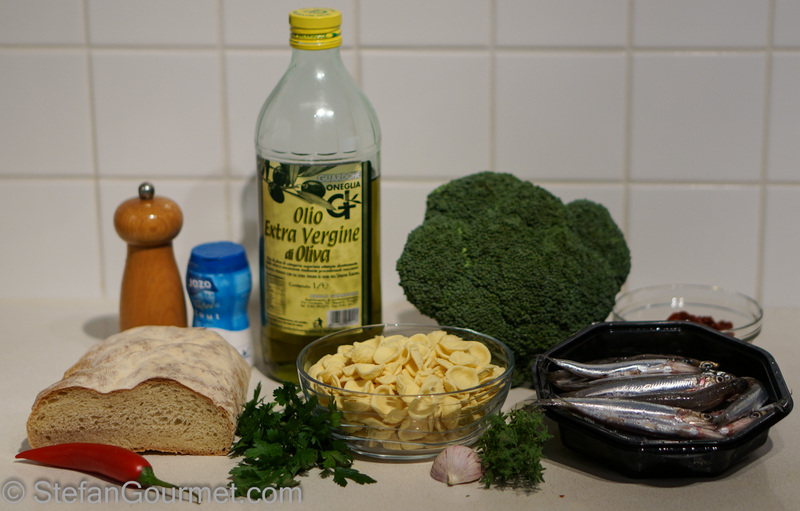 With a few twists you can cut down cooking time to 15minutes: steam cime di rapa (or spinach) in a steam oven, use good anchovies from a jar, and fry panko simultaneously but separately from garlice and anchovies.